Joseph Escobio serves as Chief Information Officer at Klinedinst PC. With 25 years of legal technology experience, Mr. Escobio is responsible in oversight, guidance with both our Information Technology Department as well as our eDiscovery and Litigation Support departments. He also serves as the Chief Information Security Officer for the firm. Mr. Escobio provides leadership for the continued development of our innovative, robust, and secure information technology environment throughout the firm. His experience in Litigation Support and management of Electronic Discovery provides operational integrity and client integration with complex litigation matters. Recognized as an innovative and strategic thinker with sound analytical and development experience. With a proven record in understanding the ever-changing environments of technology, Mr. Escobio brings a unique perspective to the management of our firm technology as well as innovative and cutting edge initiatives to drive the organizations operational growth. Mr. Escobio is a graduate of San Diego State University and also served in the United States Marine Corps. 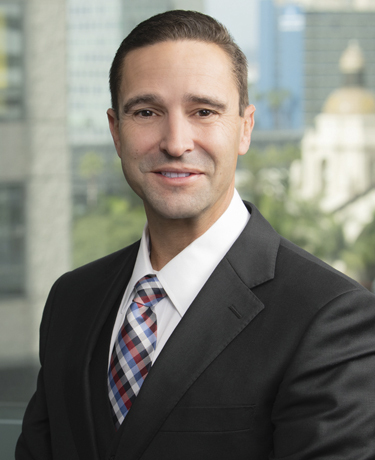 He is active within the Legal Technology community and serves on the Executive Committee of the Legal Practice and Technology Management section of the California Lawyers Association. Mr. Escobio is also a contributor to The Sedona Conference®, a 501(c)(3) that is largely responsible for oversight of eDiscovery protocols.